Located off Old Henry Road, just east of the Gene Synder expressway, you will find the gorgeous Jefferson County neighborhood known as Fox Run. 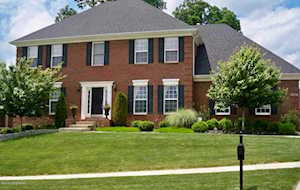 Fox Run is located close to Lake Forest and Woodmont neighborhoods. Fox Run homes began being constructed in the mid-2000s. In Fox Run, you are going to find majority brick traditional two-story and ranch homes. Many of the homes have stone and/or vinyl accents on the outside of the home. Some of the builders that have built homes in this neighborhood are Bradley Homes, Bentley Homes, and Amos Martin Construction Co. In this neighborhood, homes usually range between $300,000 to $500,000. Lots in Fox Run range from 0.20 to 0.50 acres, providing a large enough backyard for entertaining. 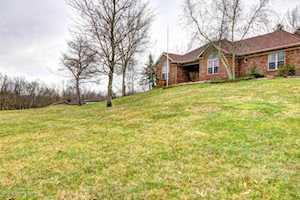 The Hollinden Team updates this search for Fox Run homes on a daily basis from the Louisville MLS. Click the map on the left to view each home in Fox Run. There is a satellite view button in upper right. Above grade square feet ranges from 2,000 to 3,500 square feet. Two to five full bathrooms and three to six bedrooms are usually what you’ll find in Fox Run. To add to the square footage, most homes have finished basements as well. Fox Run homes feature open floor plans and vaulted ceilings. These homes are also very updated. In many homes, you’ll find hardwood floors, crown molding, high-end countertops, stainless steel appliances, and updated fixtures. Fox Run is less than five minutes away from the expressway. For your grocery shopping, both Kroger and Walmart are only five minutes away from Fox Run. For shopping centers and malls, Middletown Commons is the closest. At Middletown Commons, you will find various retail stores and restaurants. St Matthews Mall, Oxmoor Mall, and the Paddock Shops are about thirteen miles away. If you enjoy golfing, Long Run Golf Course Clubhouse is close by Fox Run. Long Run golf course is a public 18-hole golf course. There is also a fishing lake, tennis course, and playground. Fox Run is in the Jefferson County Public School District. The following schools are within close proximity to Fox Run: Stopher Elementary, Chancey Elementary School, Middle Elementary School, Crosby Middle School, and Eastern High School. The following private schools are close by as well: Christian Academy of Louisville, Covenant Classical Academy, Holy Angels Academy, and Highlands Latin School. 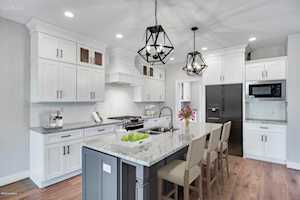 If you would like to learn more or have any questions about any of these Fox Run houses for sale, or others in the zip code 40245, just click the "Request More Information" button on any property detail page. The REALTORS at the Hollinden Team can provide you with past sale information, comparables, disclosures, PVA assessment, and tax information – we would love to answer any real estate questions you have.